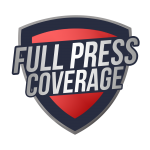 In this episode of the Full Press Patriots Podcast with Ian Glendon and Mike D’Abate, the two break down the arrival of players and coaches to Patriots training camp. What does Bill Belichick have to say about the 2018 season? Plus, the Brady/Rodgers “debate” rages on as both are ranked as the top two signal callers in the game for another season by 50 NFL executives and coaches. ‘Finally, Evan Lazar of PatsPulpit.com joins the duo to further dive into the opening of Patriots training camp.